Hi everyone and welcome to Leicester Property Investors Network (pin) meeting. We meet on the first Thursday of the month at the Field Head Hotel in Markfield, easily accessible on the outskirts of Leicester. We offer a supportive environment where we encourage great networking with other investors, sharing knowledge and learning from each other, with the aim of making us all successful. We have two thought provoking speakers at each meeting as well as updates on the local market. Gary is a full property investor and landlord with a profitable HMO and Serviced Accommodation portfolio throughout Leicestershire, Warwickshire and Staffordshire. After spending 28 years working for corporates in Sales and Business Development he felt it was time to make that break and invest in his own future. After discovering the incredibly supportive pin network, he took the plunge and spent 12 months learning all about property, which then allowed him to leave his job and follow a new direction. Gary lives in Leicestershire with his wife Jo, their 3 teenage children and 2 rescue dogs. 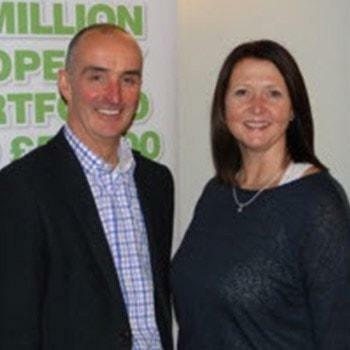 Both Gary and Jo are active within their property business.